Mrs. Dalloway is a beautiful novel. Pure and simple: I could leave my thoughts there and be perfectly content with that. (But don’t worry, we all know I won’t!) There is not much of a plot in this short novel, instead it is a collection of musings and events in one day in the life of four people who are vaguely interconnected in post-WWI London. Mrs. Dalloway is throwing a party that evening, and while she is shopping, she thinks about her decision to marry Richard Dalloway instead of Peter Walsh. We then follow Peter Walsh as he walks through London, comparing the city that he remembers of his childhood to this new post-war city. While in the park, he observes a young couple who are Rezia and Septimus. Rezia has been caring for Septimus since he returned from the war, psychologically unstable and depressed. Even though this is really Mrs. Dalloway and Peter’s story, the prose that accompanied Rezia and Septimus’s story was the most beautiful and interesting. When all of the action of the story takes place in one day, time becomes very important. The original title of the novel was The Hours, just like the novel that Michael Cunningham wrote based on Mrs. Dalloway. There are constant references to the passage of time, though the actual time of the novel is fluid and nonlinear, with the characters weaving in and out of reflection and action. “…and Septimus heard her say “Kay Arr” close to his ear, deeply, softly, like a mellow organ, but with a roughness in her voice like a grasshopper’s, which rasped his spine deliciously and sent running up into his brain waves of sound which, concussing, broke. A marvelous discovery indeed — that the human voice in certain atmospheric conditions (for one must be scientific, above all scientific) can quicken trees into life! Happily Rezia put her hand with a tremendous weight on his knee so that he was weighted down, transfixed, or the excitement of the elm tree rising and falling, rising and falling, with all their leaves alight and the color thinning and thickening from blue to the green of a hollow wave, like plumes on horses’ heads, feathers on ladies’, so proudly they rose and fell, so superbly, would have sent him mad. But he would not go mad. He would shut his eyes; he would see no more. I think that might be the most beautiful passage in the whole novel. Ah! It gives me chills. Isn’t it just absolutely wonderful? The word “time” split its husk; poured its riches over him; and from his lips fell like shells, like shavings from a plane, without making them, hard, white, imperishable words, and flew to attach themselves to their places in an ode to Time; an immortal ode to Time. He sang. Evans answered from behind the tree. The dead were in Thessaly. Evans sang, among the orchids. There they waited till the War was over, and now the dead, now Evans himself– (50). Mrs. Dalloway is not quite what I was expecting. It was so short and beautiful, and yes it was very stream of conscious, and it definitely helped that I had read and seen The Hours, which is based on Mrs. Dalloway. 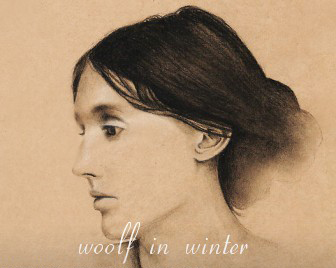 There are some things that I probably would have missed if I hadn’t had a basic knowledge of the plot, because many things are carefully veiled beneath Woolf’s beautiful language. There were times when I got lost in the prose, but at the very least it was always beautiful to read. She had such a wonderful eye for things and her descriptions are really unlike anything I’ve ever read before. I loved this novel and I’m sure that I will be reading it again one day. I’m so glad that the Woolf in Winter read-along pushed me to read this. Thank you to all of our hosts, especially Sarah who is hosting the read along today. Other hosts: Frances, Emily & Claire. Well said, Lu! So well said. And the quotes you pulled are all gorgeous. It is hard to stop yourself on that count though, isn’t it? As you suggest, you could easily get carried away (I might have) and type the whole book out. 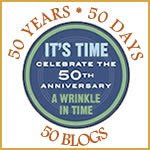 Appreciate your connection to the theme and treatment of time in the novel. Something so poignant about time that cannot be recovered, time passing in yet cyclical likes the hands of a clock moving round rather than in a straight line. And it really is a sensory novel, isn’t it? Like a sense of touch to me. I almost feel it as I read it. Thank you 🙂 Oh gosh, I had so many more quotes that I wanted to share, but it got a little ridiculous there at the end, so I pulled back. Lena read the whole book in one day, seems so poignant and perfect, next time I want to do that! Wow, you did such a thorough and beautiful job with all the themes, giving me lots to think about. I liked the point you brought up of time being very fluid, and although I read The Hours by Cunningham, I didn’t know that was the original title of Mrs. Dalloway. She does use beautiful imagery, and perfect the use of the semi-colon! However, I found myself having to read several passages several times over to be sure they were clear for me. I’m not used to such long, carefully crafted sentences in a stream of consciousness style. I loved your review, and all the outstanding quotes you used to illustrate your point. I feel like I appreciate it a bit more now. Belleza: Thanks 😀 I definitely have wikipedia to thank for that knowledge! I had to read a couple pages over again to really grasp the meaning, too. I can’t wait to read this book again and that doesn’t happen very often. I just feel like there’s so much more I would gain every single time I read it. Oy, do I ever need to read this book again. I went into it blind with no knowledge of the book beforehand. You expressed yourself so well. And so differently from the other thoughts on the book I’ve read so far. I did appreciate that the book was a departure from how novels had previously been written. Thank you for a lovely review. My post is up. You felt like it was floating on air – I felt like we were being pulled from one current to another on the water. 🙂 How interesting. You guys are all making me want to reread this again. Amanda: I really like that analogy too! I know what you mean, I want to reread it right away. Lovely post, Lu! And props to you for pointing out the semicolon use; I love it as well. I really, really love Woolf’s treatment of time, here and elsewhere, and I can never quite articulate what it is about it that so resonates for me. Something about the past and present being wrapped into one, and being simultaneously tangible and yet ever-shifting…anyway, thanks for bringing that up, among other fascinating themes! Emily: I’d use a semicolon in every sentence if I could get away with it like Woolf can! It also makes me very happy to use a semicolon in sentences about semicolons, like you did. Yes! I learned a thing or two about semicolons from Woolf! 🙂 It took forever to write my post since I kept losing myself into the book again as I picked out quotes to use! I finished it this morning, and I could read it again right now with as much pleasure. Good thing we have plenty more Woolf coming! Sarah: So excited for To the Lighthouse! I’ve got quite the lovely edition to read, too. I’ve been meaning to read this for a while. I really want to make sure it is a 2010 read. Great review! Jennifer: Hope you love it as much as I did! I loved how she caught Septimus’ mind…how it would spiral from all of these ‘dramatic insights’ and highs to such sad lows. It’s so different from how my mind works, so I found it fascinating. Eva: I know he found such beauty in things, but he was oh so sad 😦 It was so incongruous, but that made it even more tragic. Ash: Why thank you! 😀 Thanks for delurking!! Wow fantastic review Lu and I loved how you summed it up as you do get a little lost in the stream of conciousness and the wonderful prose. 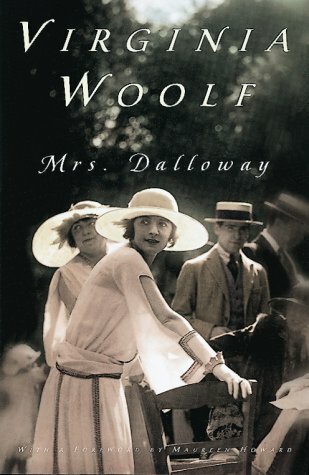 I read this one while my parents were throwing a party that I was invited to, but I didn’t know anyone, so I just sat in the corner and read (as usual 😉 ) and it was so easy to ignore everyone and just be completely immersed in and swept away by Mrs. Dalloway. I’m so glad you enjoyed it. And I loved that you used the excerpts to highlight what you liked most about the prose. I love that you took the time to gather themes of the novel. Even though it was my second time reading it, I felt like I missed so much – which means I’ll be re-reading this in the future. Again, really loved your review, Lu. I didn’t “get” the point of Septimus and Rezia, so the fact that you think that’s what it should be about makes me itch for a reread! I love your analogy of “floating on air” although I had a hard time with it at first. I’m looking forward to more Woolf! I really thought the insights that Rezia and Septimus provided about life were more meaningful, though not necessarily more important, than either Clarissa’s or Peter’s. I’m also really looking forward to the next read, I’m so glad I decided to participate in this project! I, too, got lost in the prose, so captivating. Missed much of the nuances and went to it blind, like Sandra commented above. But I loved the experience and am itching as well to read it again. I’m sure lots of things will reveal themselves in a second and a third and a fourth rereading..
Yep, that’s definitely a danger with Woolf: of getting lost in her beautiful prose until you don’t know exactly what the prose is about! That happens a lot in The Waves too: there are passages that don’t seem to really mean anything but are just lovely to read. I haven’t read The Hours but it looks like I need to! EL Fay: For some reason I didn’t even really mind it. I might have complained about that very fact with other authors, but Woolf could totally get away with it. Reading this beautiful post makes me want to read this book once again. I’m anxious to hear your thought on Home Repair too – I have that book as well. Diane: Thank you 🙂 Home Repair was pretty good! My review will be up soon. Another fabulous review! I’m on overload – I want to mention everything. I am looking forward to the next book in our readalong.